Analysis: There doesn't seem to be any real concern about the two sides failing to reach an agreement, though it won't necessarily happen by Thursday. 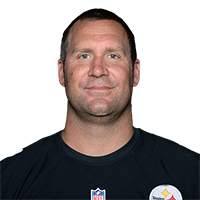 The 37-year-old quarterback is entering the final season of a four-year, $87.6 million extension and faces the issue of leading an offense without Antonio Brown (Raiders) or Le'Veon Bell (Jets). The Steelers still have an above-average collection of talent on offense, led by an excellent O-line and wide receiver JuJu Smith-Schuster.